Mike Croxson joined CESI as CEO in 2017 bringing more than 30 years of experience in the financial services industry. He oversees all the operational and financial functions of the company. Mike’s skills include a particular focus on adapting new technology to meet the needs of consumers struggling with their financial situation. 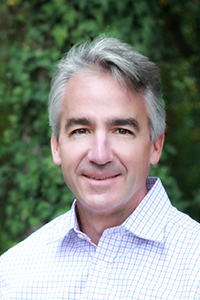 For more than a decade, Croxson served as president and chief operating officer for CareOne Debt Relief Services, one of the nation’s largest debt management companies. Just prior to joining CESI, Mike served as Chief Operating Officer with Bay Bank and has held senior leadership roles in the areas of commercial banking, specialty financial services, and credit card processing. Mike earned his BA from the University of Virginia, Charlottesville and went on to complete the Program for Executive Manager Development at Duke University’s Fuqua School of Business. He earned the designation of SPHR from the Society for Human Resource Development and is a Certified Personal Finance Counselor through the Center for Financial Certifications. Mike’s extensive community involvement includes national and local non-profit and community-based organizations including AADMO, St. John’s Episcopal Church and Parish Day School, as well as Board of Director leadership roles for the Cystic Fibrosis Foundation in Maryland, The Community Foundation of Howard County, Columbia, MD and the Elon University Parent Board.